Tickets: £8 | £5 (concessions) | children free. New Music Brighton is pleased to announce our first concert of 2013 at the Friends Meeting House on 2 March 2013 at 7.30pm . This concert is a fundraising event for NMB and will consist of a rare performance of Erik Satie’s Vexations performed by a relay of pianists, an improvisatory piece called Tides of C and performed by Steve Gardiner and Phil Baker’s composition Pathways to the C… performed by the Skeleton Ensemble. NMB are performing an abridged version of the piece as a complete performance can take anywhere between 18 and 24 hours to complete. It has been performed before, most notably by John Cage, and has been regarded as one of the first modernist pieces. 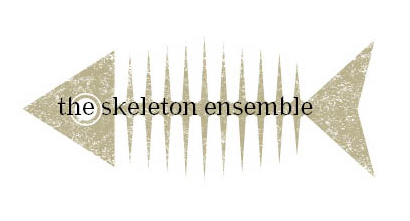 Our third piece is Phil Baker’s Pathways to the C … performed by The Skeleton Ensemble.